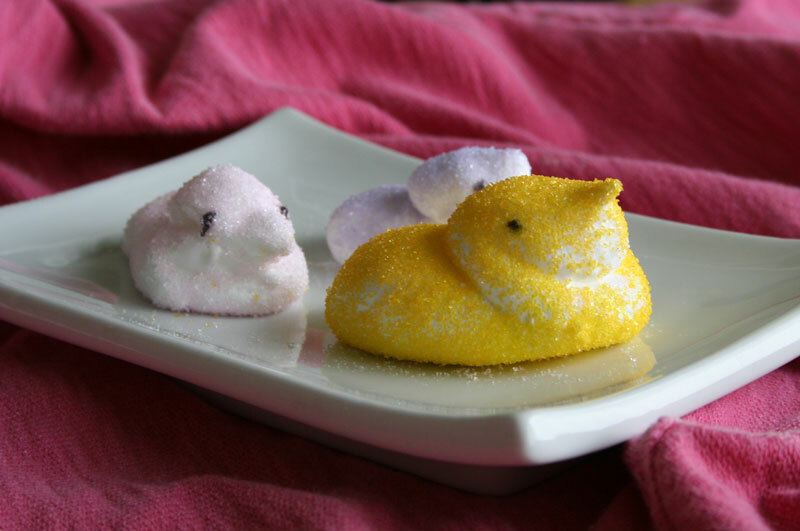 Attempted to make homemade peeps. They taste way better than store bought. Could color them with food coloring and flavor them with lemon or any other flavor. Not “that” hard! Put sugar, corn syrup, salt, and 3/4 cup water into a pot. Bring to a boil over high heat, stirring to dissolve sugar. Cook, without stirring, until mixture registers 238 F on a candy thermometer, about 9-10 minutes. In the bowl of an electric mixer add 3/4 cup cold water and gelatin. Let soften 5 minutes. With mixer on low speed, beat hot syrup into gelatin mixture. Gradually raise speed to high; beat until mixture is stiff (about 10-15 minutes). Beat in vanilla. Fill shallow pan with powdered sugar. Fill piping bag with marshmallow and pipe out a large body with a small head in one movement over the powdered sugar. Sprinkle with colored sugar crystals. Add eyes with decorating pen. Set aside, uncovered, until firm, about 3 hours. This entry was posted on Sunday, April 5th, 2009 at 22:34. 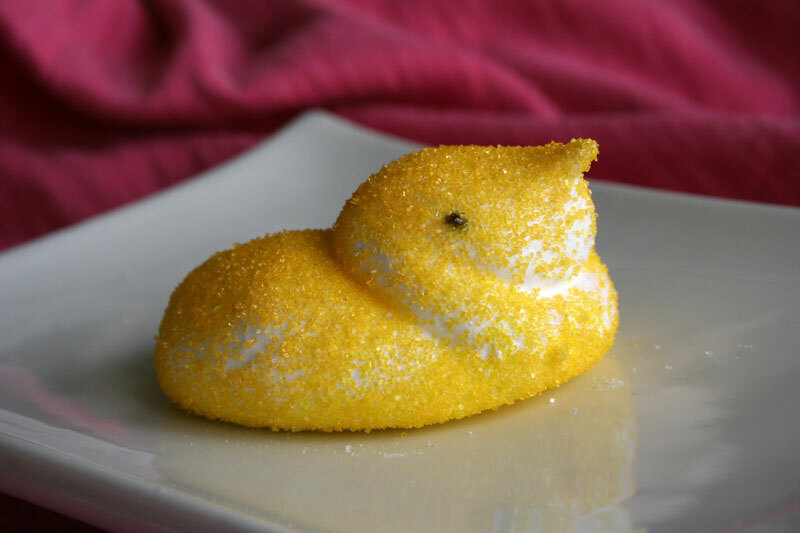 It is filed under Food and tagged with chicks, easter, food, fun, homemade peeps, marshmallow, peeps. You can follow any responses to this entry through the RSS 2.0 feed.